Our Breaking Ground: Women, Oil & Climate Change delegation officially kicked off on, October 9, and we’re flying high – literally!! Follow them online from October 9-16 as the Nobel Women’s Initiative travels to the oil sands of Alberta and into British Columbia along the proposed route of the Northern Gateway Pipeline. 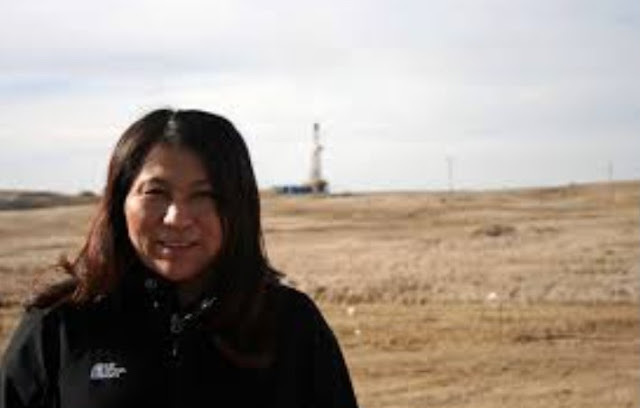 Led by Nobel Peace Laureate Jody Williams, the delegation is interested in learning about the impact of oil sands expansion and related tanker and pipeline projects on women and their communities – perspectives rarely taken into account by decision makers. Yesterday, members of our team had a rare opportunity to view the oil sands from the sky. Check out our Flickr galleries to see the shocking aerials! Plus, stay tuned on our Twitter,Facebook, Blog, Flickr, and Instagram (@nobelwomen #breakingground) as we tweet, blog, post, and share photo stories from both industry and women grassroots and Indigenous leaders along the way. Why Women, Oil & Climate Change? Click here for a video message from Jody Williams.